LANCOM Systems, the specialist in network connectivity and wireless LAN, celebrates its tenth anniversary. Since its foundation, the company based near Aachen has become established as the leading German manufacturer of reliable and innovative networking solutions for professional users-truly "Made in Germany". All over Europe the products are now to be found in all fields of industry, in the finance sector, hospitality, leisure and retail. Since its inception in 2002, the company headed by Managing Director Ralf Koenzen has sold over a million products worldwide and continues to achieve a steady growth in sales figures. 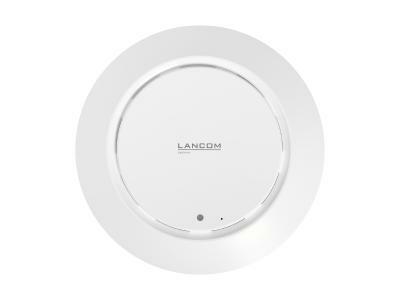 For years now LANCOM has been the number 2 in the German market. "The LANCOM recipe for success is no secret," says Ralf Koenzen. "Flexibility in responding to customer requests, the high quality of products, 'Made in Germany' and our proximity to partners and customers alike are the basis for what we have accomplished. This credo has brought us a long way and it will continue to contribute to our growth." LANCOM's declared goal for the future is to significantly expand on the position of the company and its distribution partners in the markets for solutions in network connectivity and wireless LAN. Reflecting on the development since 2002, Ralf Koenzen looks back on memories that are almost entirely positive: "Even our first year in business produced results that exceeded all our expectations. Back then we started up with thirty former ELSA employees, and we worked hard to set the course for the future of LANCOM." LANCOM Systems has achieved ten years of profitability and steady growth, and today has about 150 staff. The vast majority of employees from the time of the start-up are still aboard, which speaks for an excellent working atmosphere. The official celebration takes place on May 10 in Aachen with the employees, business partners and companions. LANCOM Systems is the leading German manufacturer of reliable, innovative network solutions for the commercial and public sectors. 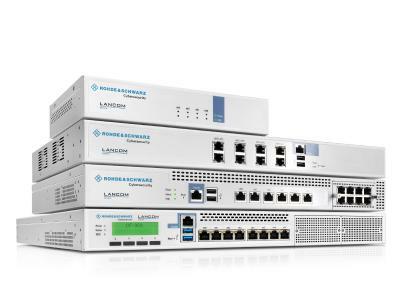 The focus is on solutions for high-security site connectivity (VPN) for branch offices, enterprises and public authorities, and also on the wireless networking (WLAN) of public and corporate applications. LANCOM Systems GmbH is headquartered in Würselen near Aachen and has sales offices in Munich, Barcelona and Amsterdam.